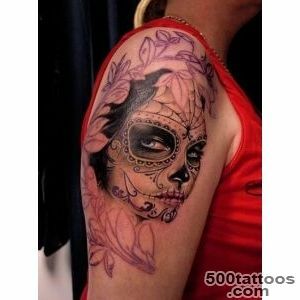 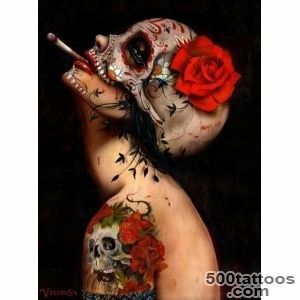 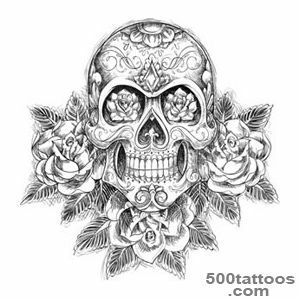 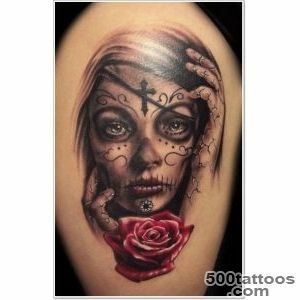 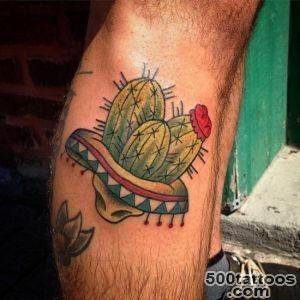 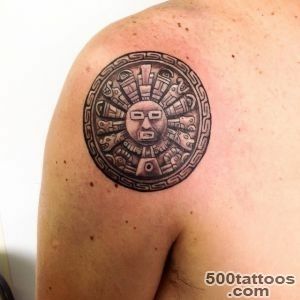 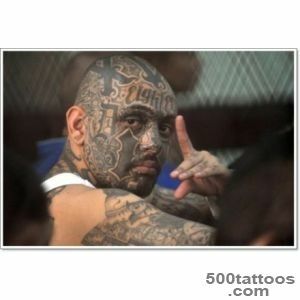 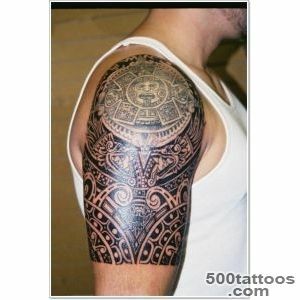 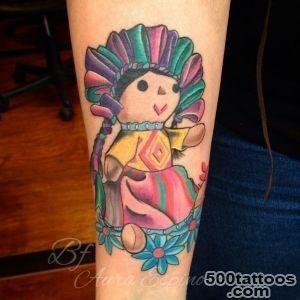 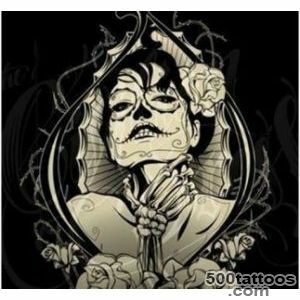 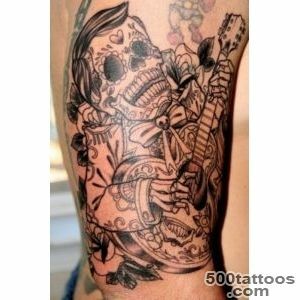 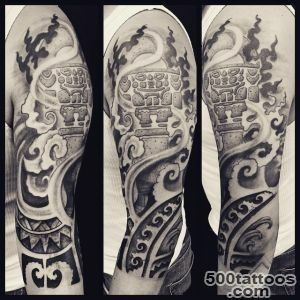 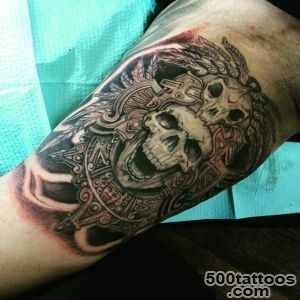 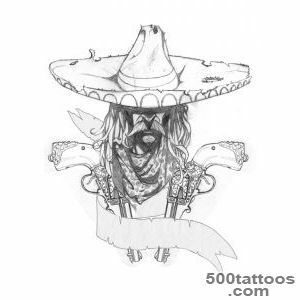 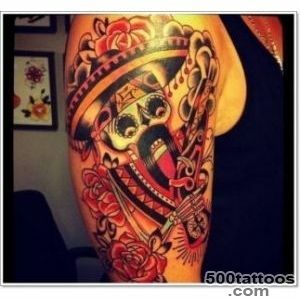 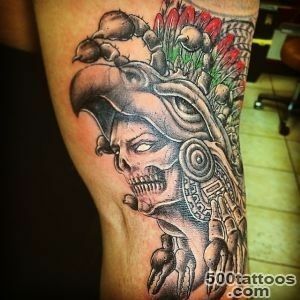 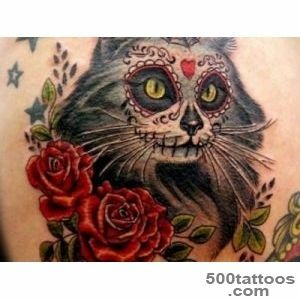 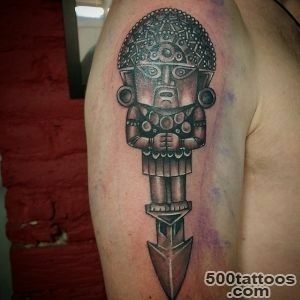 The main plot of Mexican tattoos are guns, roses and world-famous sugar skulls. 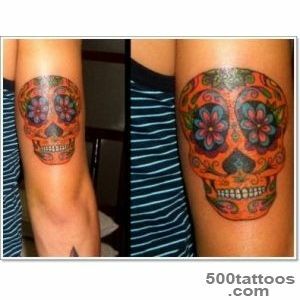 The basis for the last day was the feast of the dead, which is celebrated in Mexico on November 1-2. 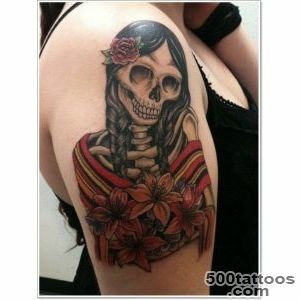 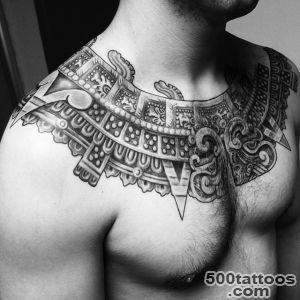 The reason for applying this tattoo was the death of a loved one, family member or friend. 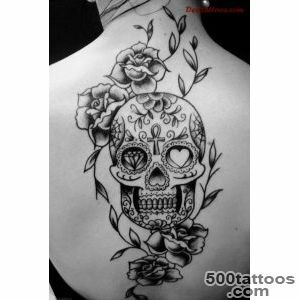 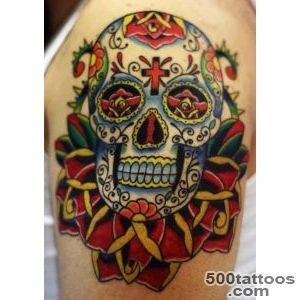 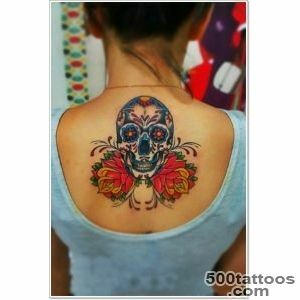 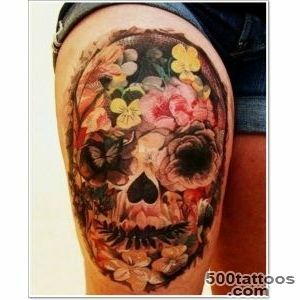 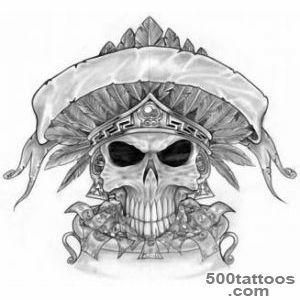 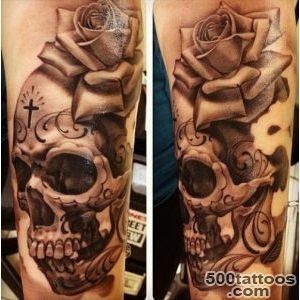 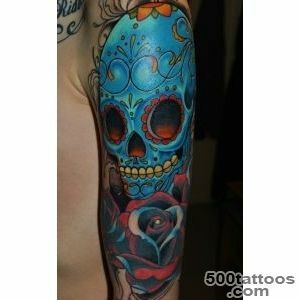 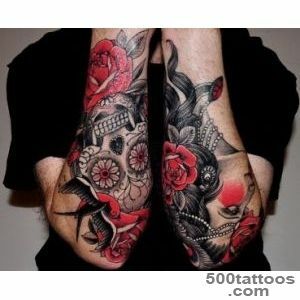 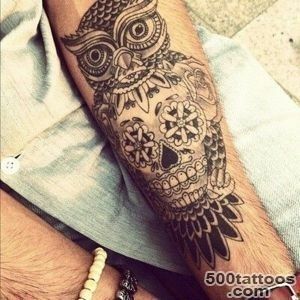 This tattoo is a symbol of love and loss.Tattoo portrayed as brightly colored skull, which is decorated with different colors. 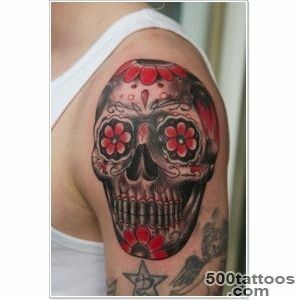 The eye sockets of the skull inserted various values, including diamonds. 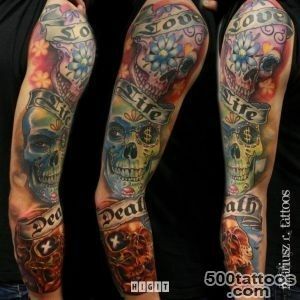 A continuous cycle of life refers to the skull, one half of which the skeleton, and a second skin.